The West Texas County Judges and Commissioners Association is pleased to announce the continuation of its Annual Scholarship Program. College scholarships in the amounts of $1,500, $1,000 and $750 will be awarded to three applicants during the upcoming Annual Conference in Amarillo to be conducted April 23-26. To be eligible for scholarship consideration, applicants must be a child, grandchild, or under the legal guardianship of a current West Texas County Judge or County Commissioner. Each of the applicants must be a current resident of a county within the 118-county West Texas region. Each applicant must also be a graduating senior of the Class of 2019 from a high school within the West Texas region. The scholarship’s funds are not derived from tax dollars collected from member dues. Instead, funding comes from previous conference proceeds, not at taxpayer expense. All entries are to be submitted to Tarrant County Judge B. Glen Whitley for Scholarship Committee consideration. All entries are to be received or postmarked by 5 p.m., April 1, 2019. Entries are to be sent to: Hon. B. Glen Whitley Tarrant County Judge Scholarship Committee, Chair 100 East Weatherford Rm 501 Fort Worth, TX 76196-0001 gwhitley@tarrantcounty.com. The scholarship application is available for download at the link below. When it comes to county government purchasing, the statutes contain many requirements that must be met. 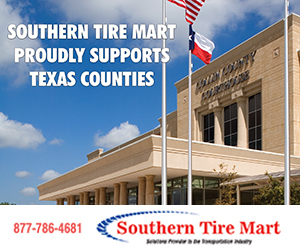 These requirements are scattered throughout the statutes – not just in the section known as the County Purchasing Act – and change each time the Texas Legislature meets. It is the duty of every county official to follow these laws. Many counties rely on procurement professionals in their county to stay current on these laws and ensure that purchases are properly administered. Ensure that all vendors may participate in competitive offers to your county on a “level playing field” that does not favor one vendor. Prepare specifications that will allow multiple vendors to compete for the county’s business using descriptions that state “minimum” requirements. Make awards of bids or proposals based ONLY on criteria included in the specifications. Make certain that your specifications follow the laws that are currently in place. A current area of high risk involves construction procurement, where there have been many changes. Using old specifications is very risky. You cannot rely on architects or other contracted individuals to be aware of the changes in the law. Follow the Professional & Consulting Services Act when acquiring services that fall under this act (Government Code, Chapter 2254). Utilize cooperative purchasing when possible to reduce costs of solicitations and time required and to gain the benefit of group purchase prices. Local Government Purchasing Groups also provide great options. Have procurement policies and procedures in place to guide your county offices. State law has a number of requirements that must be included. Make certain that vendors are required to provide proper bonding and insurance, including workers’ compensation insurance, to protect the county and comply with state law. When awarding using “best value,” be certain that the factors that constitute best value and their weights are included in your specifications. When using a sealed proposal process, always ask for “best and final offer” from the proposers. If this final step is not completed, you will almost certainly pay more for the product or service than necessary. Get your attorney to approve your terms and conditions to be included in solicitations, as well as the contract that may result from an award, in order to protect the county. Make certain that individuals who administer bids and proposals for your county have current knowledge of all the laws and attorney general opinions currently in place that govern those purchases. 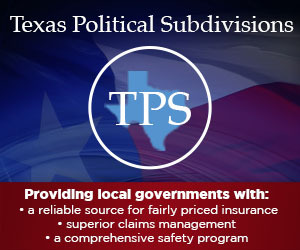 Membership in organizations such as the Texas Public Purchasing Association (TxPPA) provides opportunities for educational programs, networking, and a listserv where assistance is available. Don’t make a purchase of services or products during the fiscal year where the total for that category will exceed $50,000 without taking sealed bids or proposals, or using an awarded cooperative bid. Don’t make separate, sequential, or component purchases in order to avoid competitive bidding. Don’t grant an exemption from bidding when it doesn’t comply with the law. Don’t divulge information to one vendor that is not available to all vendors. Don’t have a relationship with a vendor that could create a conflict of interest in fact or in appearance. (NOTE: State law requires disclosure of certain relationships that you and/or your family may have with vendors. There is required vendor disclosure, as well). Don’t write specifications that are so “tight” that only one vendor will be able to bid. Don’t change what you are asking for without giving notice to all vendors who may participate in the solicitation. Don’t allow vendors to bid who have helped write specifications. Their role should be one or the other, but not both. Don’t collude with vendors to give them an advantage. This could result in an investigation by the attorney general’s office and possible prosecution. Don’t consider a vendor a “sole source” unless you can document that there is truly no other vendor offering a product or service that meets the county’s minimum requirements. The favorite vendor of a department is not always a sole source. Don’t violate the laws and attorney general opinions that govern whether and how you may consider the location of a vendor’s business in award of a bid. Don’t appoint more than two members of the Commissioners Court to proposal evaluation committees.